Have Your Upcoming Events Featured In Our Calender - Baby Point Gates B.I.A. Calling All Baby Point-ers! 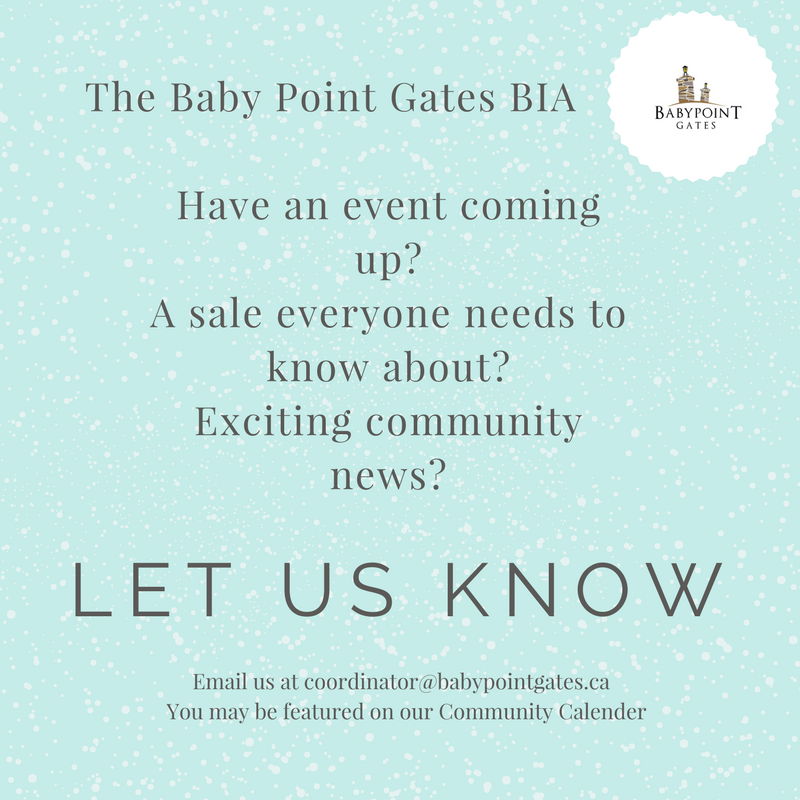 The Baby Point Gates BIA is looking to update our calendar, if you have an upcoming event, a great sale or some community news, we want to know about it! Shoot us a message at coordinator@babypointgates.ca and tell us all about it. Be sure to check out calendar in the next weeks, if you would like to know whats going on in your community!